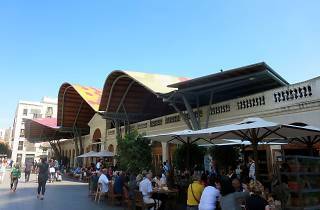 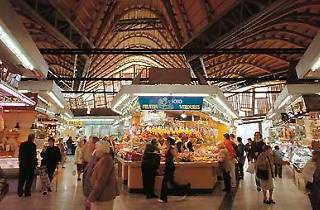 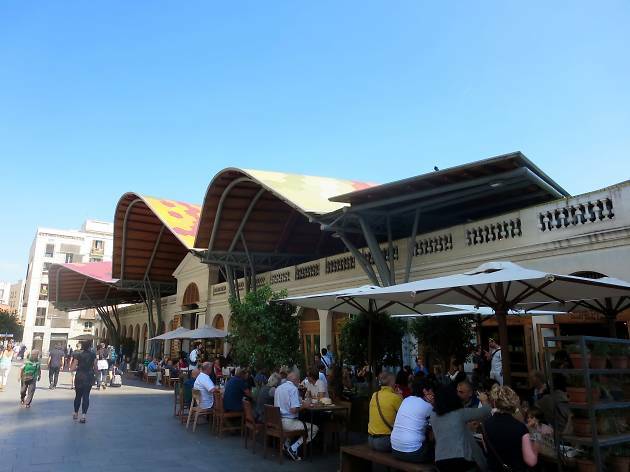 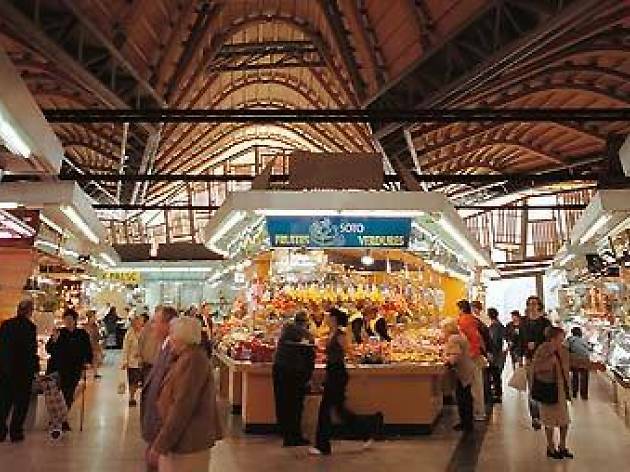 Built in 1846, the Mercat de Santa Caterina is the second oldest market in the city. 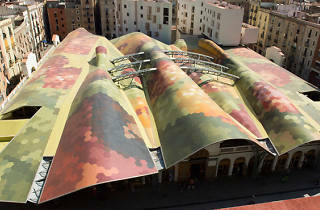 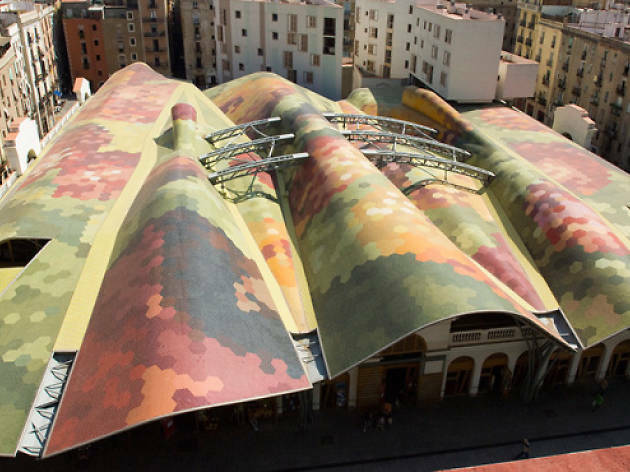 The renovation project was the work of Enric Miralles and Benedetta Tagliabue’s team of architects. 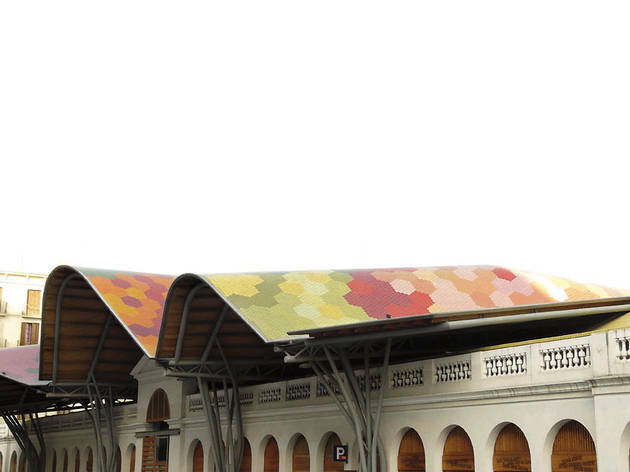 Its most characteristic element is its gorgeous mosaic roof, reminiscent of Gaudi’s work, made with 325,000 pieces whose colours echo the fruit and vegetable stands underneath. 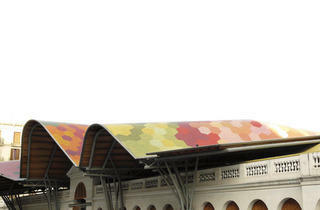 The façade of the original building, reconstructed in 1988, has been preserved, along with the side walls.